Now that spring is here we need to get out our spring decorations! 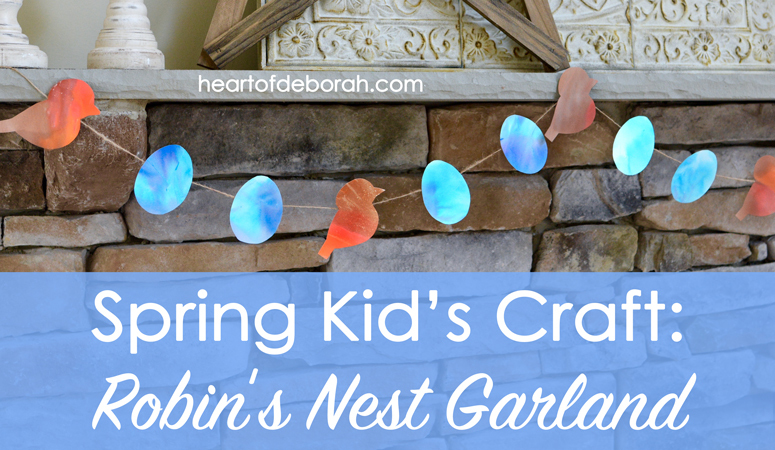 Today I want to share a DIY robin’s nest spring garland with you. I made it with my daughter and we had a blast. 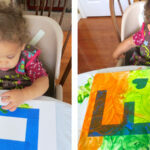 My family loves to craft so I’m always looking for ways to include my daughter in the process. 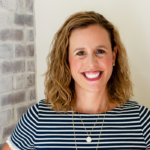 In the future, I hope to share even more crafting ideas with you, but in this season of life with littles I have to be intentional with my time and that means I don’t get to craft as often as I’d like. 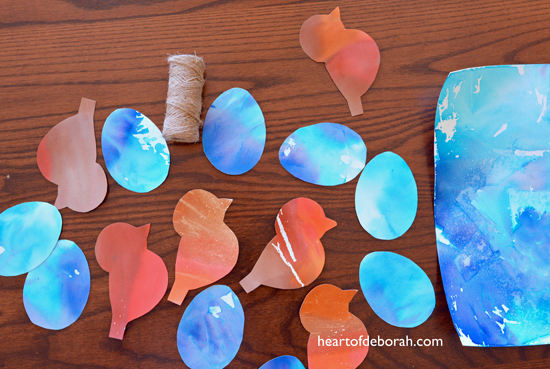 For this craft I was inspired by a tissue transfer art kid’s craft. 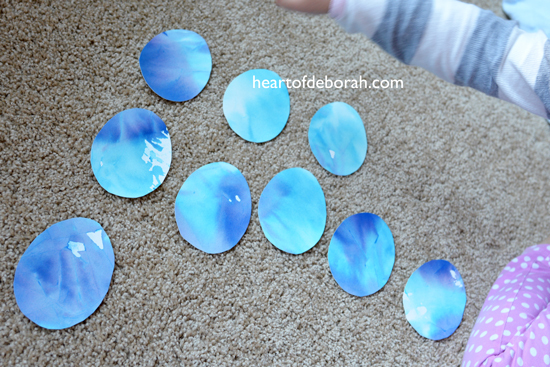 We used the same concept to create a watercolor look without watercolor paint! 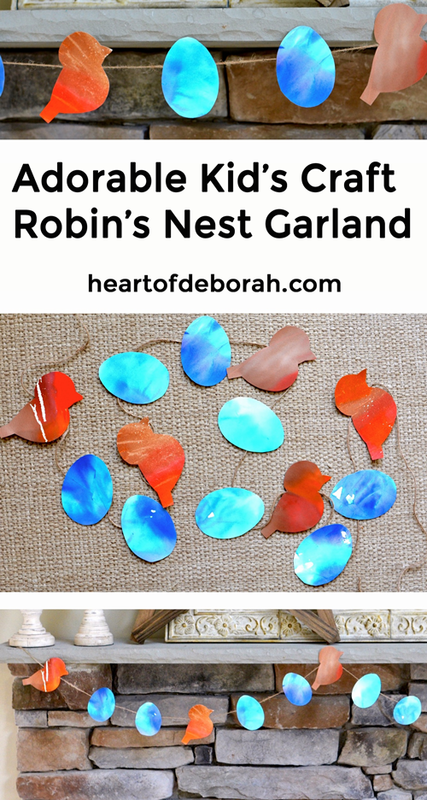 This specific craft is robin themed so we made blue eggs and brown/red birds. 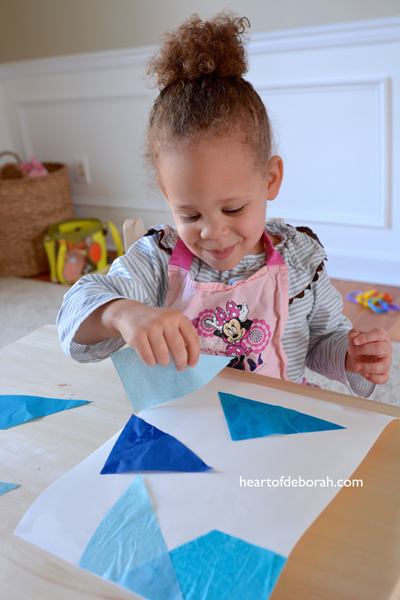 First, we cut out random shapes of tissue paper. Shades of blue and aqua for the eggs and brown and red/orange for the robins. Then my daughter lightly spritzed the watercolor paper. 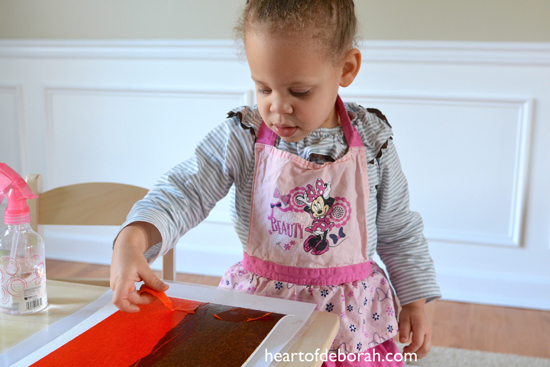 She carefully placed the tissue paper on to the watercolor paper. After the paper was covered we sprayed more water on top. We let it air dry for about 30 minutes. Then we removed the tissue paper and saw a beautiful watercolor. The next step I had to do since my daughter is so young, but certainly older kids could help trace and cut out the birds and eggs. We used this bird and egg to make the cutouts. I decided to not use the bird’s feet to make it easier to cut, but you can do it either way! I made 9 eggs and 5 robins. Next, we taped the cutouts on to the twine. I spaced the birds and eggs about 2-3 inches apart. I measured our mantel before I made the string to make sure the garland was long enough. The garland looks great on our mantel, but I think it would also look cute running up our staircase or hanging in our daughter’s room. Our daughter loved that she helped add SPRING to our house. She always says “Mommy look at those eggs!” when she sees our fireplace. 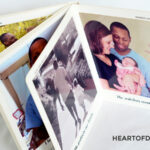 Looking for more spring crafts? I guess the saying great minds think alike is true! 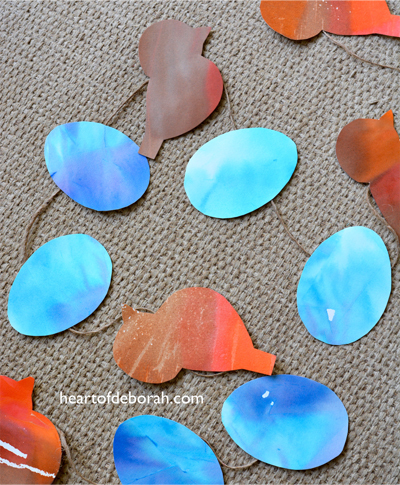 One of my favorite bloggers, Megan at the HEN Family recently posted a beautiful Easter Egg Garland with watercolor paint. I think we may do this for my daughter’s room. I love the soft pastel colors she used. 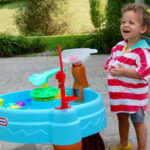 Disclosure: This post contains some affiliate links for products we use and highly recommend.